First, you need to know what to do at the scene and shortly after the wreck. Gathering all the information you can will help your insurance claim go a lot smoother. Second, you need to seek medical attention. Every one is different. Sometimes people can tell they are hurt immediately. If that is the case, go to the emergency room or a trusted physician. Other times people don't realize it for a few hours, days, or weeks. Once you begin to feel pain that wasn't there before the wreck, go seek immediate medical attention. Not all injuries are visible or easily recognizable. Third, follow these steps to handle your property damage claim. If the insurance company gives you any problems at all, immediately give us a call. We can help you out. What Are Some Of The Main Causes Of Car Wrecks In Texas? Impaired Driving: According to statistics from the Texas Department of Transportation, there were 4,973 crashes in 2016 involving drugs. That is 18% more than 2010, when the number was only 4,221. Drunk Driving: in 2016, there were 987 people killed in motor vehicle traffic crashes where a driver was under the influence of alcohol. This is a 26% of the total number of people killed in motor vehicle traffic crashes in Texas, which is a quarter of all deaths on our roadways. Drowsy Driving: According to statistics from the Texas Department of Transportation, there were 2,893 crashes that resulted from drowsy driving in Texas in 2016. Distracted Driving: In 2016, there were 455 people killed in crashes involving distracted driving. This is only those actually reported and documented. Most of the distracted driving crashes are not discovered until after a lawsuit has been brought and the records are ordered. Even then, we must rely on people telling the truth that they were on the phone. Driving Too Fast: According to statistics from the Texas Department of Transportation, there were 149,780 crashes resulting from speeding in Texas in 2016. We all see the drivers that drive too fast for the circumstances. Following Too Closely: According to the statistics from the Texas Department of Transportation, there were 28,684 crashes caused by drivers following vehicles too closely, which is also known as tailgating or riding the bumper in front. This is a serious problem that has caused countless injuries in Texas. Running Red Lights: According to statistics from the Texas Department of Transportation, there were 11,610 crashes resulting from disregarding a red light in Texas. Running Stop Signs: In 2016, there were 27,623 crashes when people disregarded stop signs and caused a crash. This is alarming since most of these are when folks never saw the stop sign in the first place. The root cause is typically distracted driving. Failing To Yield The Right Of Way: According to the statistics from the Texas Department of Transportation, there were 9,978 crashes resulting from people that failed to yield the right of way at an intersection. Again, the typical root cause of these crashes are distracted drivers and drivers speeding in a hurry. The time limit to file a claim or lawsuit is called the statute of limitations. Whether you need to file a claim with your insurance company or file a lawsuit, the time limit is two-years in Texas. There are a few exceptions, but a safe measure of the time limit is two years from the date of the wreck. This is important for a few reasons. First, you need to know this so you so not miss the deadline. Second, you need to know about this deadline so if you cannot resolve your claim on your own with the insurance company, you know that you need to reach out to a trial lawyer in this window of opportunity. Third, you need to know that the time limit is 2 years so you do not wait until the day before that deadline to contact an attorney to help you. More often than not, we turn down cases when they call us the day before the statute of limitations. This is why we provide so much free information on how to handle your own claim or how to select the right lawyer for your case. 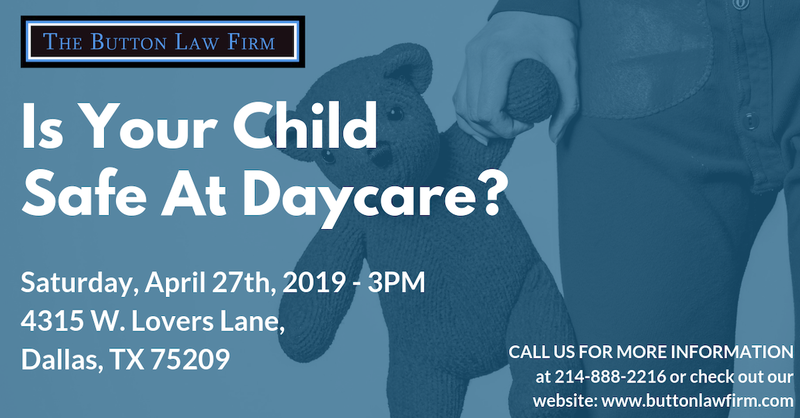 We want to make sure that you are informed to make a great decision on what is best for you, your case, and your family. Give us a call if you have any questions. In my free book, you will learn when you need a trial lawyer, the most common defense tactics on personal injury cases, answers to some of the most frequently asked questions, and how to find the right lawyer for your case.